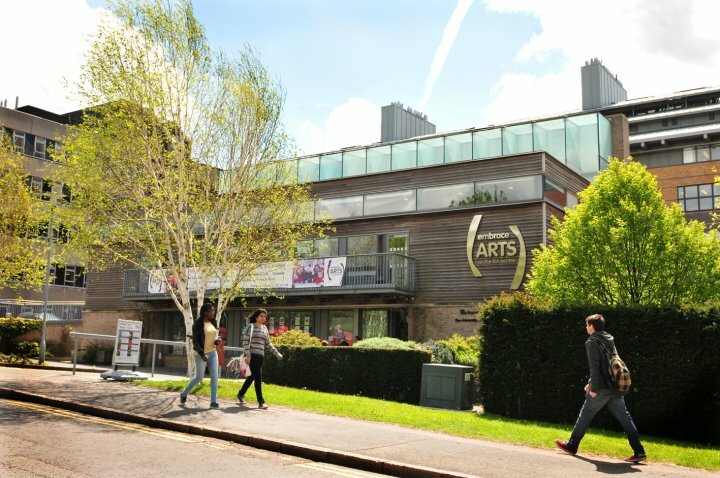 The University of Leicester's Attenborough Arts Centre prides itself on being accessible and inclusive. With over 18 years of experience, their programme offers performance, courses and workshops, contemporary art exhibitions, activities for children and families, and more. Car parking is free after 6pm on weekdays and weekends at the Medical Sciences Building next to Attenborough Arts Centre, visitors are required to ring the buzzer on entry to the car park and state that they are attending the Attenborough Arts Centre for acces. Pay and display parking is available on Lancaster Road and in Victoria Park. Prices at time of writing are: £1 up to 2 hours, £2 up to 3 hours, £4 up to 12 hours. Four car parking spaces for blue badge holders are available at Attenborough Arts Centre. Attenborough Arts is fully accessible to wheelchair users.